Plannerisms: Friday Poll: What's your format? Hey everybody, now's your chance to tell us all what diary/planner format you use! I feel confident that I can speak for all Plannerisms readers that we REALLY want to hear how everyone uses their planners. 1) What diary format(s) have you been using for 2009? Day per page? Week + notes? Days as columns? Or something else entirely? 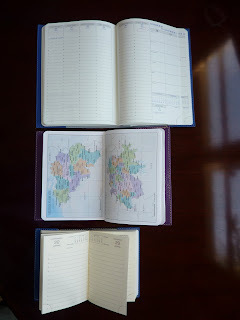 2) Do you use a bound book (like Moleskine or Quo Vadis), or a binder with removable pages (like Filofax)? 3) And perhaps most importantly, will you be using the same system for 2010? Or will you be trying something new? I will not be using the same system for 2010. I can't buy the exact same refills that came with the DayOne planner. 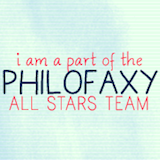 I bought a Filofax from a coworkers recommendation and stalked the Philofaxy blog, but so far it doesn't seem to be working out for me. I can't find a layout I like, and I can't have the month at a view set up before the month at a weekly view because the following month is printed on the back. Never tried a bound book other than a standard desk diary.. but I've been a Filofax user for some time... but you knew that already! I use a month in view and a week on two pages lined. I use the ruler marker for both the month and the week (clear for month, black for week). This may be an option for you, Amanda. I used to only want the month before that month's weeks, like you're talking about, but this was the best compromise for me - I get to use the Filofax binders and refills and yet see both the month in view and week in view when I need to. I use a personal size - just arrived yesterday is the Guildford Slimline which I had previously bought and returned but then regretted returning and so bought it again. I'm using this as my everyday, portable Filo and the regular personal size stays at home with all the essential information I need but don't need to carry with me all the time. We'll see how that goes - if all goes well, I will use this format in 2010. I don't use any bound books for my calendar system (I do use them for my journal writing). I need the flexibility of a ring bound planner. Just as an aside, I do like some of the refills FC sells, but they are never in the layout I want - I like the week on two pages, but the horizontal layout with lines and FC only seems to do the vertical layout with lines. And I don't like their binders as much as Filofax either - there's much more personality and choices via Filofax. 1) In 2009 I was all over the map. Filofax personal, Filofax A4, Filofax Slimline...all day per page. Late in 2009 I tried out Franklin Covey. First a Classic (A5) size, now a Compact (Personal). Still with the day per page format. 2) I prefer a binder system like Filofax or Franklin Covey so I can move stuff around. At times I need a To Do page with a specific day page, or some such thing. years ago I used to use an At-A-Glance day per page spiral bound book but prefer the flexibility of ring bound. 3) For 2010 I am sticking with FC, as I have created my own diary pages on their website (for both Classic & Compact sizes, just in case). I am still up in the air which size I will start with for the new year. YM - did the slimline not work out for you? I can see where I will miss some of the extra pages I am used to carrying around with me, but I am going to try to make it through the holidays with my new slimline to see if using it can be done for 2010. *Fingers crossed* If not, I'll go back to my regular personal size Filo (I have many to choose from). For this past year I used a filofax personal with weekly pages. I used this format for most of the year, except for one experiment with daily pages and another one with a pocket filofax. For the next year I have weekly filofax pages ready, both with horizontal as with vertical layouts. I also have ordered a minister, and I think I will use that next year. If this doesn't work I will always have my filo to fall back on. Paulien I was just thinking of you today and wondering about your Minister! How frustrating that you are having to wait so long for it. Be sure to tell us what you think of it when you get it! I currently use a week plus notes pocket moleskine for my carry around everywhere planner/diary and then I also have a page a day desk diary, which is used for organisation and to-dos. My system does work well but I feel it needs a few tweaks to it. so I'm considering changing for the new year, just don't know to what yet. kanalt: The slimline was fantastic, but I switched to the Franklin Covey pages & they were a tad too wide for the Filofax binders (thus making it a not so slim, slimline)). Also you can only fit one quarter (3 months) day per page inserts in it, and I found I optimally need to see 6 months. Thanks for all of your replies everyone! I'm always fascinated to read how other people use their planners. Travis I'd love to hear more details about how you manage with two separate books. Is your pocket planner the satellite and the daily book your main planner? Or is your daily desk diary for work and your pocket weekly for personal? Very interesting. Laurie, the moleskine is for my general day to day stuff, what I am doing and where, is the weekly part, then shopping list and general to do's on the notes page. My desk diary is my "targets for the day" diary so I've noted the things I want to get done on each day and then make notes about their progress. As an example, I've been making endless job applications this year and this has proved good for that. Desk diary gives me plenty of room to mark down the progress of the application, when I've sent it, when they say I should get a response, if and when I get a response, and follow up action, interview prep etc etc. Also allows me to see how productive I've been on each day, and simply keep all my thoughts in one place. Looking into getting a 2page a day diary for next year. I would fit it all in one diary, the main reason I use two is simply that I can't take my desk diary everywhere although it does travel around with me a lot of the time. All my work stuff is done electronically so really my two books are all for the personal stuff. Travis thanks so much for giving the details of how you use your 2 planners. I really like your idea of keeping track of the progress of ongoing things in your day per page book. I can see how it would be nice to have a smaller book to carry around with you. I know a lot of people have a small "satellite" book that they carry everywhere and a bigger book that stays at home. Of course the issue with that is that you have to be diligent about synching the two schedules. But it sounds like your daily book is not so much about scheduled things and more as a record of progress. Fascinating! This is the kind of stuff I love hearing about, because it gives me new ideas on how to use my planners. I use a Planner Pad brand planner. I prefer the spiral bound version. I slip a moleskine into the back pocket for any lengthy meeting notes. I just found this blog via the carnival of pens, pencils and paper. So I am behind the times, but I really wanted to answer this poll. I used the uncalendar until July-ish of 2009 when I moved across the state and didn't work in an office anymore. I didn't need to use such an indepth system for daily stuff. So I bought a small Quo Vadis Text Agenda. I did not really care for it. I began to make my own planner using a large lined piccadilly after discovering an organizers group on live journal. I did this for several weeks and then discovered I wanted to buy a Louis Vuitton agenda cover. Once I bought that in October, I planned to switch to an A5 sized Clairefontaine notebook that would fit the agenda cover. It took forever to arrive because the company lost my order so I just started using it in late December. I do a week per page usually with the left facing page blank for notes. I change the layout every week and try and rotate the various layouts I use. You can see pictures of my DIY Piccadilly planner at my blog. I haven't taken pictures of the new one yet. For the past couple of years, I’ve used Quo Vadis agendas; I started with University and then graduated into Business. Now, though, I use a different weekly planner in the collection to manage my time: the IB Traveler Diary. I love how efficiently the Traveler is organized! Mine kept in a Chelsea cover, tucked in front and paired with the Visoplan monthly calendar tucked in back. Between the two covers, I have both my week at a view and my month at a view (each useful for me); both are compactly bound with a QuoVadis elastic bookmark, which also holds the address book in place between them. I use the monthly calendar to track social events and the week at a glance to schedule my work obligations. Per the suggestion of First Things First, I plan on a weekly basis, but confirm appointments daily. I even write my commute times into time slots, so my scheduling is more accurate. Honestly, I tried electronic calendars but found them too “virtual” for me. Seeing my schedule set in black & white just makes my life seem so much clearer to me. In the slot on the front flap of my Chelsea cover, I keep a Weekly Compass – What Matters Most card from Franklin Covey, outlining my roles and goals in life. Inside the flap is a slim stack of Tasker cards from Levenger, outlining ideas, calls, and a shopping list, among other things. Because the IB Traveller is so streamlined, I find that using it in combination with Tasker cards and the Weekly Compass allows me more space to get the big picture. That said, my Quo Vadis book still remains pocket-sized and portable. I even have a pen that clips handily onto the front cover. This arrangement is really the best of all worlds for someone who’s cycled through Daytimers, Filofaxes, and Seven Habits Organizers. Some were too bulky, others too complicated. This one is just right!